There’s not much that gets a head coach more animated or frustrated than asking them about their responsibilities as head coach. And this is probably because the job involves so much more than just coaching. After researching a lot of different sports, and asking swim coaches on an excellent Facebook swim coaches discussion group, I found a surprising array of opinions, lists of responsibilities and philosophical answers. Summarizing the general feeling, a head coach is responsible for just about everything, and far too often has to actually do just about everything. The one response that summed it up the best, in my opinion, was provided on Facebook. Who should be responsible for hiring and firing of assistant coaches, and how much to pay them? This decision has a massive impact on the wet side, but certainly seems like a dry side issue. Dealing with parents. I don’t think any coach has a problem with the normal parent/coach discourse, but we all know that sooner or later a parent comes by who crosses the line. That sounds like a dry side issue, but one that can seriously affect the morale of the coaches, swimmers, and ultimately the whole team. Dealing with the swim team board is by definition a dry side issue. But what about when there is a disconnect between the coach and the board. I’ve seen a board try to tell the coach how many competitions to attend, and the coach responding by threatening to quit. I’ve seen a board consider a parent-lead proposal to fire the experienced and successful head coach and hire a just-retired swimmer with no coaching experience for the sole purpose of reducing (already low) team fees. And then not kick out the parent when the proposal failed. So what is the best way to reconcile dry and wet side issues and responsibilities? Sometimes the problems are unavoidable, such as a volunteer not completing their task on time. But I’m going to go out on a limb and suggest that most serious dry side conflicts arise from mismatches between the board’s perception of the team, and the coach’s perception of the team. In other words, between the Team Philosophy and the Head Coach’s Philosophy. (I wrote recently about this issue here). Let’s look at a few examples (all taken from real life situations). Example 1. Let’s look at a community team with a Team Philosophy of accepting swimmers of all levels and interests, and helping them to reach their potential. (This type of team represents the vast majority of teams out there). But the Head Coach wants to develop elite swimmers and doesn’t mind grinding the swimmers to get there, resulting in the inevitable burnout and high dropout rates, as well as the coach sidelining any swimmers who don’t appear to have the potential to reach the top. That situation is a perfect for a board to start butting heads with the Head Coach. Example 2. Let’s look at the other extreme of an established Elite Club with a Team Philosophy that focuses on developing high level swimmers. Often these teams place a high emphasis on being one of the top teams in the region / country. A Head Coach who grinds the kids, burning many out, but ending up with a small subset of elite swimmers will most likely be a hero to the board. Example 3. A community club again, and the Head Coach is on board with the Team Philosophy. But a lower level assistant coach in charge of talented 12&Unders is pushing these young swimmers hard. As usual when this happens, the immediate results are great, and the assistant coach is a hero. But a few years later these same swimmers, now in a different group, shows signs of overuse injuries, burnout, or their poor technique starts to limit their results. Parents become unhappy, and this causes problems for the board, the coach of the new group, and the Head Coach. As you can guess, the underlying problem here is that the Head Coach allowed the apparently successful assistant coach to go against the Team Philosophy. What we’re seeing is that a Head Coach has a huge set of responsibilities, and potential problems lurking in every direction. In all reality, as many dry side responsibilities as possible should be shunted over to the board (if your team has one) and then to volunteers. But some responsibilities can’t be avoided, and so here’s my take on the responsibilities of a Head Coach. Understand and completely adopt the Team Philosophy. Then ensure that the (often rotating) board members, assistant coaches and parents all understand it as well. 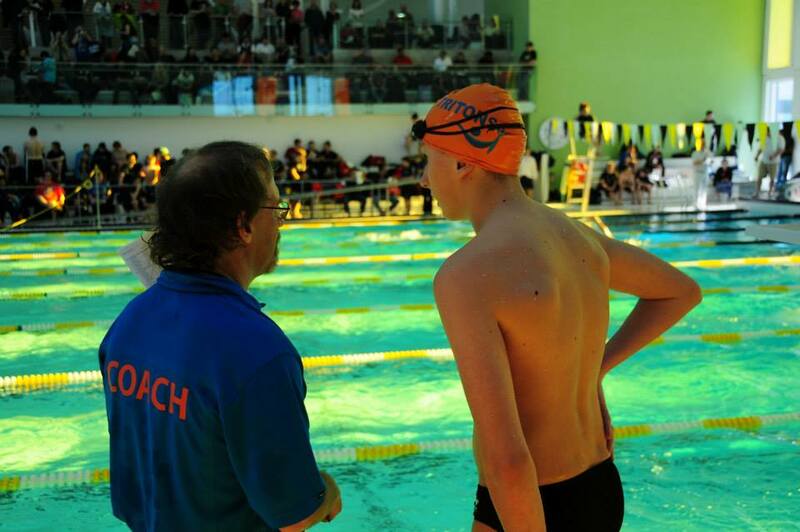 Develop and implement an appropriate training program, practice schedule and meet schedule for the swimmers directly coached. Ensure that all other programs and schedules are appropriate for the age, and adhere to the Team Philosophy. Meet with swimmers and / or parents to discuss goals and progress, and to ensure that any concerns are addressed. Oversee, support and communicate with the coaching staff. Provide educational opportunities where possible. Attend and be active at board meetings, and take charge on any issues that may affect swimmers or coaches. Let the board take the lead on all other issues. There is no way that such a simplistic list can handle all potential problems, but at least this will have everyone on the team pulling in the same direction.